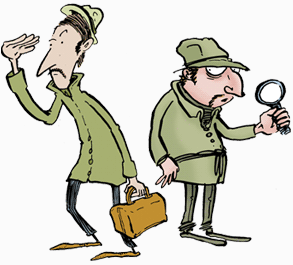 Sleuths, you are doing well, but the case is not yet closed. We want you to take a closer look at the places where the Christian Creation story refers to ‘a day’ and we want you to see whether you think it means literally ‘one day’. 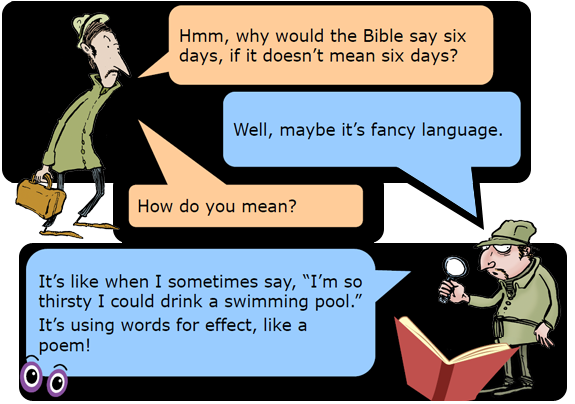 So here we have an answer from the sleuths: They say they have found a big clue that a “day” in the Biblical creation story does not really mean a 24 hour day. The sleuths seem to think that the language in this part of the Bible is not like a newspaper reporting the facts, it’s more like the language you find in poetry. The Creation Sleuths have finished their investigations and have produced a summary of their findings. 1. Why does the Bible say the Universe was made in a matter of days when science said it took billions of years? Most theologians (people who study religious texts) believe that the text is written in poetic language. They say that the writer did not intend the writing to be interpreted literally. 2. Why do many people believe you can have both science and religion? Many people believe that science and religion help us find answers to different questions. Science helps us discover facts about the universe and also helps us to understand how the Universe works. 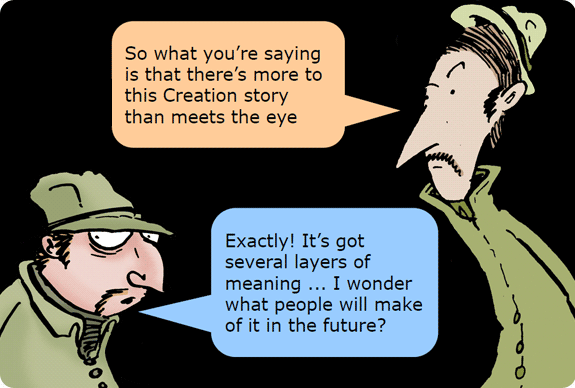 Religious people who believe in God say that their Creation story is important because it says that God is the reason that everything exists and it explains that God wants people to know about him and relate to him. Now, here’s a writing challenge for YOU! Can you write a poem that explains the wonderful appearance and delicious taste of your favourite plate of food. What is the food and can you persuade your readers to love it as much as you do? Now suppose you are writing a set of instructions to explain how to make this food – can you make it really clear so that readers know what to do? Compare these two pieces of writing. What are their purposes and how are they different? How does this help you to think about the different types of writing in a religious creation story and in a science text book?